‘Martin and Dannii have been supporting us at Tanner Rose for several years on all aspects of financial planning and management – from the day to day accounts payable to the strategic planning and overview necessary for a successful Professional Property Consultancy LLP. 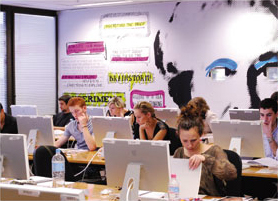 ‘I am the CEO and owner of a group of graphic design colleges that we run in Australia, the U.K. and the U.S.A. The group is headquartered in Australia. Cantor Atkin have been an integral part of my growing international business since 2007. Not only does Martin Cantor oversee the finances of the companies in Australia, U.K. and U.S.A. but he and Dannii Atkin also run the day to day accounting and wider financial operations for both the U.K. schools and the U.S. school in New York. Martin has been instrumental in planning and managing the restructuring and expansion of the Group including the successful expansion of the U.K. business, which involved a doubling in capacity of our London campus. He acts as my Company Secretary and provides wise advice to me beyond just accounting issues whenever it is needed. Dannii Atkin is also a tremendous asset for the business and brings a thorough and diligent approach to the day to day accounting function for the U.K. and U.S. businesses. ‘I have known Martin professionally and personally over 10 years. When I set up my own business, I received valuable support on accounting issues (such as Companies House reporting, Taxation, VAT) and much more… many queries and clarifications on how SMEs run, what’s allowed and what isn’t, and how it all ties in to personal finances. Cantor Atkin willingly deal with the ‘stupid questions’ and give advice and support that would not get priority from bigger organisations. 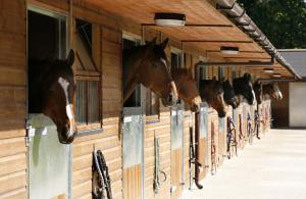 'In 2011, we acquired the famous Durdans Stables. Martin helped us set up a limited company as well as sorting out the complex VAT issues arising from running a combined racing and livery business on the site. We now have 60 racing and livery horses, many supplier and client invoices coming in and out every month plus 10 members of staff. Cantor Atkin provides us with a comprehensive financial support service. They also run our payroll and the recent introduction of our automatic enrolment pension scheme. 'I have known Martin for around 10 years now through working together as The Shillington Group of Companies have expanded their activities from Australia into the U.K. and U.S.A.
From their base in the U.K., Cantor Atkin now look after all financial and reporting aspects for Shillington’s U.K. and U.S.A. enterprises. Their business model is based upon becoming truly integrated within the management structure of those businesses. This, in turn, provides additional opportunities for clients to benefit from the wide experience that Martin and Dannii are able to provide, both at the strategic level and in day to day operations. 'Martin has a wealth of expertise and experience that he brings the table in a friendly, accessible and pragmatic way. He is great to work with because he takes a genuine interest in his clients/ colleagues and their businesses. He very quickly becomes an integral part of the team rather than an arm’s length adviser.